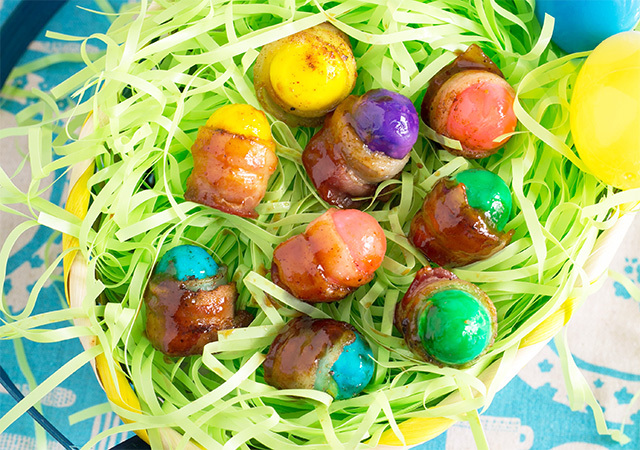 I love bacon and have been amusing my Sat students with my bacon wrapped appetizers. 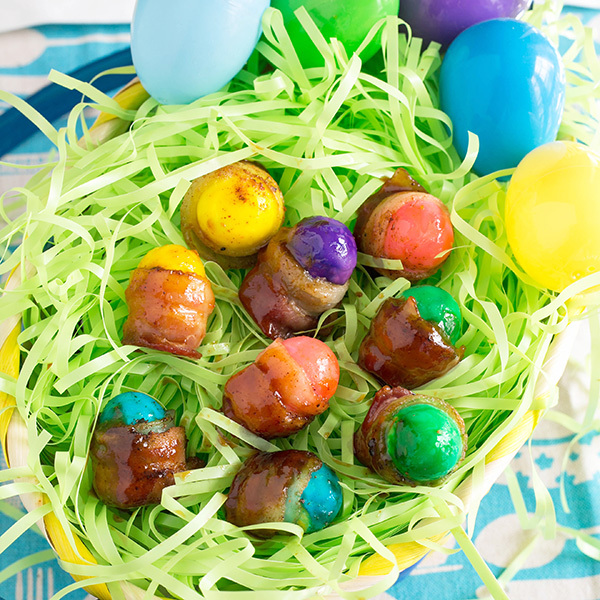 This one for Easter joins my list of super easy ones to make. 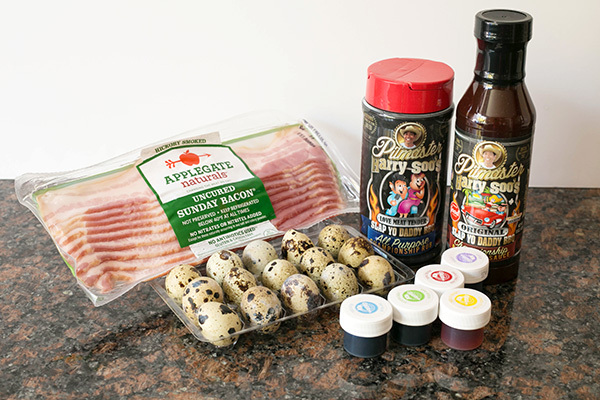 I took quails eggs I found in Ranch 99 (an Asian grocery store chain) and hard boiled them. 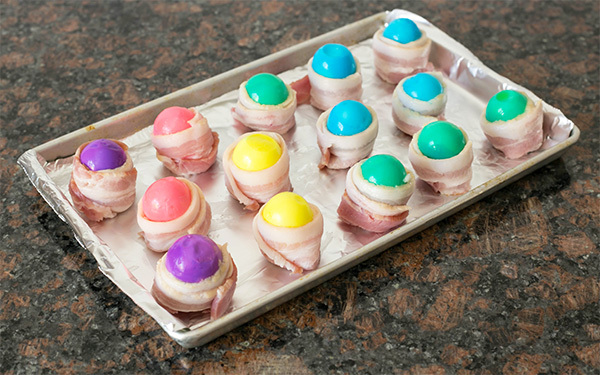 I shelled the mini eggs and placed them in some food coloring overnight. I added a bacon wrap to them and cooked them in a hot 500F oven until the bacon was crispy. Serve with your favorite sweet spicy barbecue sauce. Enjoy! If you like this recipe, I have many more including my virally popular pineapple mozzarella rings. 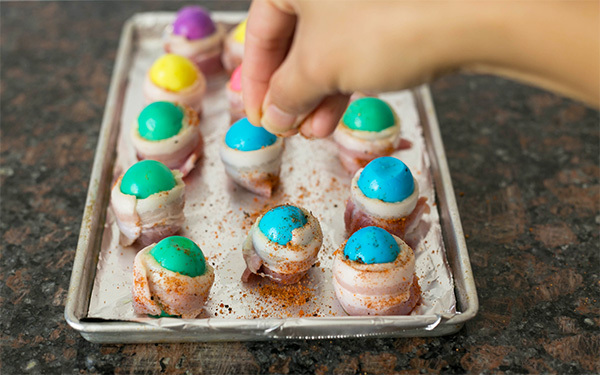 I’ve been adding more bacon wrapped madness to my recipe database: Doinks, mini frittata, turkey lollipop, apple pie, meatloaf, breakfast fatty, buffalo turds, pig candy, and bacon-weave animals. 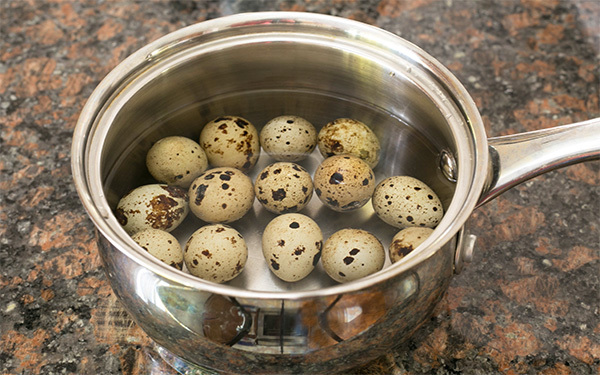 Simmer eggs in salted boiling water for 15 minutes. Soak in cold water for 10 minutes to make it easy to peel. 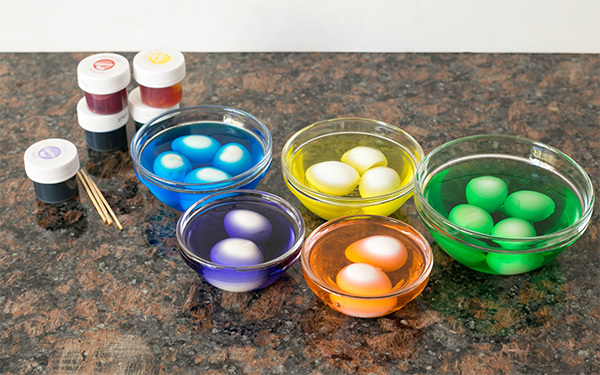 Mix some food dye and water in cups or small bowls. 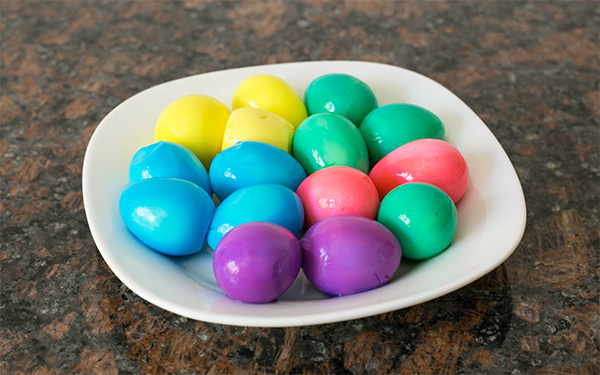 Soak eggs for a couple of hours or overnight. Wrap in bacon and dust with a little All Purpose rub. Cook in 500F oven until bacon is crispy. Remove and brush with a little barbecue sauce and serve. Harry, These look, interesting, to say the least. It might be the bright colors. I tried searching and couldn’t find it. Have you ever made Pig Shots? Slices of sausage, wrapped in bacon to form little cups, filled with a cream cheese, sour cream, cheddar cheese, and whatever filling. Smoked or grilled until the bacon firms up. I have put baby shrimp in the filling once, and pulled pork in it another time. Make a great appetizer. I can send a picture if you are interested or you can Google it. I’ve sampled more than my fair share of bacon appetizers. The closet thing to a Pig Shot is a Pig Cup which is a fried bacon weave basket filled with pork belly cubes which were braised in a pit until they were meltingly tender.